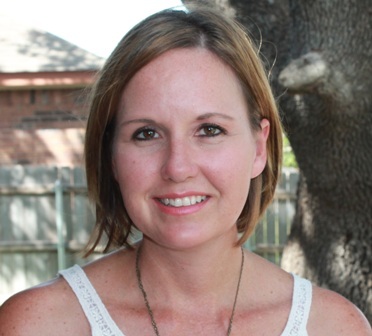 Jenn Brink worked as a mental health counselor before becoming a full time writer. 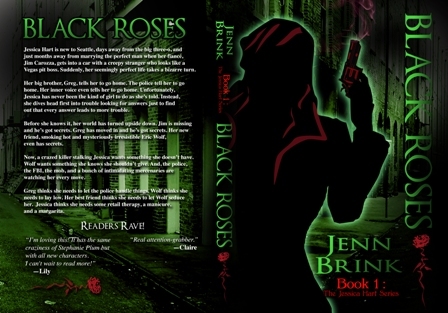 Her debut novel, Black Roses: Book One in the Jessica Hart Series, released in May 2013. Cerulean Seas: Book Two in the Jessica Hart Series, released the following November. The series has been at the top of the Amazon charts a couple of times and is rapidly gaining a devoted fan base. Visit her here. Tell us about your book, Cerulean Seas. How did you get the idea for it? Cerulean Seas is the second book in the Jessica Hart series. Black Roses was the first. I started writing Cerulean Seas when I was about ¾ of the way done with Black Roses. I was working through the ending and realized that it wasn’t the end of a book. It was the beginning of a series. I love fairy tales, but I’ve always wondered, “What happened after ‘The end’”? Black Roses is the fairy tale, and Cerulean Seas is what happened after the fairy tale. When real life, in all its glory intruded. How difficult is it penning down a book series? Writing a series sounds easy. In reality, it is challenging. You have to keep track of a lot of details from the earlier books, as well as keep the characters true to themselves, while allowing them to grow and develop both on their own and in their relationships, all while writing out a storyline with a fresh plot. It’s a lot of fun, but I don’t think I’ll take on another series until I’m done writing about Jessie. How long did you take to finish the book? It takes me an average of two years to write a book and get it ready for publication. During that time, I become so enamored of my work that it starts to turn into an obsession. Then, it’s time to throw my baby out into the cold world with no one to protect it. It’s a roller coaster of emotions when I read reviews of my work, but I love them. You think as a reader you get a book hangover. Try involving yourself in it for years at a time. How do you decide the titles? Titles are HARD. I look for a good title, that tells a little, but not too much about the story inside. Then I do a search to see if anyone else has used that title. If there are other books out there with similar or the same title, I go back on the hunt for a good name for my book. To make it harder, the Jessica Hart books all start with a color and are only two words. Why did I do that to myself? I just don’t know, but it’s a thing now. There is no changing it. Tell us about the character of Jessica Hart. How did you develop the character? Jessica Hart, AKA Jessie, is the first thing that I had when I wrote Black Roses. There was no plot, no storyline, just this girl fumbling around in life. I based her on myself, with a lot of liberty. I base all of my characters on other people. Some people think that means they are the character. All it means is that physically, mentally, or just in actions something of that person is in that character. Some are based more heavily on people than others, and some characters are a mixture of several people I’ve known. It makes them easier to write. It is probably what makes my characters resonate so well with people. What can a novice reader expect from Cerulean Seas? The books are good enough as standalone reads, right? Yes, the Jessica Hart books are written as a standalone series. For those that don’t know how that works, it just means that unlike say the Harry Potter book series where each book builds on the next and your lost if you start in the middle of the series, the Jessica Hart books each tell their own story, with separate plot lines. They just involve the same main group of characters. That said, I encourage readers to start with book one, because there are spoilers in the later books and the books do build on the relationships from one to another. Tell us about yourself. What do you do when you are not writing? I write under the same name that many of my friends and family call me, Jenn Brink. Many people are surprised that I don’t use an alias. I just tell them that if I don’t want my grandmother to know I wrote it, I probably shouldn’t be writing it. When I’m not writing; I’m a mother, wife, friend, daughter, sister, aunt, neighbor… Really, no different than anyone else. My husband is a soldier in the U.S. Army, so we move a lot. We just moved to Texas, about five weeks ago. So, my time has been invested in getting unpacked and settled. Last week the kids started school, so we are adjusting to that as well. It is the first year that they are all in school. So now it’s just me and the dog hanging out together. I’m hoping to get back to writing any day. Please name your favorite writers. Are there any who you’d like to name as an inspiration? I grew up reading my mother’s Agatha Christie and Sherlock Holmes novels. Later on, I discovered Steven King (his stuff gives me nightmares so I can’t read it as much of his work as I’d like), Shakespeare, and Robert Heinlein. Then college interrupted all of my personal reading, and I switched to textbooks. A few years later, I couldn’t get enough of Tom Clancy, and John Grisham. I’ve read a lot of authors, but I’ve probably read most, if not all, of these author’s works. I guess that makes them my favorite. I don’t read other authors while I’m actively working on a novel, which I am. So, I’ll only let myself read blogs, and news articles right now. In between books, I’ll usually take a break and read 4-10 books that are on my “list”. I’m primarily working on the third book in the Jessica Hart series, ‘Silver Bells’. It’s a Christmas book, with a twist, featuring Jessie and Barbie, in all their goofy hijink glory. And, everyone will be happy to hear, Greg and Wolf are back. I think my fans are gonna love it, as much as I’m loving writing it. I’m also in the middle of a young adult book, ‘Unearthly Tides’. It’s a modern day paranormal pirate adventure. This has been a challenge for me because it is a collaboration with my teenaged daughter. We are writing the book she wants to read. I have to admit, I was a little unsure when she brought the idea to me, but it’s going to be EPIC. I also have a thriller, “Tabula Rasa”, and some other ideas moving around, but those are more on the back burner. I try not to let myself get too overwhelmed with multiple projects at once.